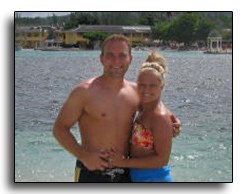 Satisfied Customers Jamaica, Honeymoons, Weddings, Vacations. 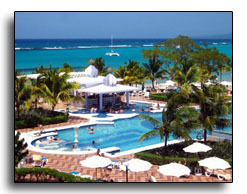 Sandals, Beaches, Couples, Super Clubs, and many others. 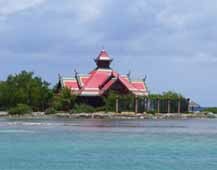 We have visited many of these and highly recomend them. 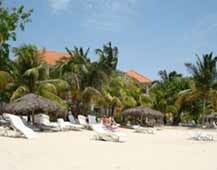 Here are some of the favorite beautiful & relaxing locations we found while vacationing at Sandals Montego Bay Resort, Jamaica. 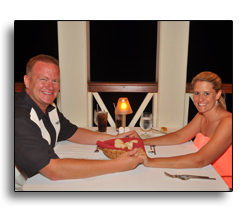 What a wonderful time we had…a gorgeous beach, mouth-watering food, picture perfect sunsets, and top notch service. Our Crystal Lagoon Ocean View One Bedroom Butler Suite with Balcony Tranquility Tub was so lovely. 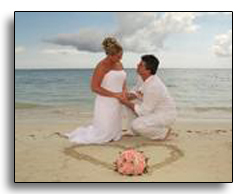 We were spoiled with all the pampering and special services our butlers provided. 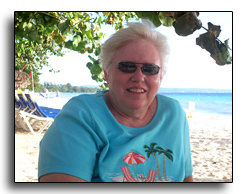 We highly recommend Maureen and Memorable Travels.com along with the Sandals Montego Bay Resort to everyone! Our trip was SOOO amazing! Thank you for everything you did to get us set up! 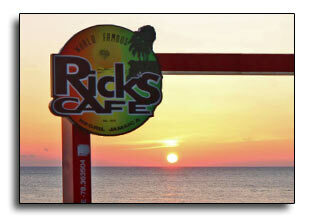 We did so much while we were there, from zip lining to river tubing to Ricks Cafe (twice! 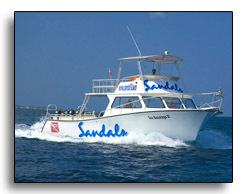 Ha Ha) to snorkeling and the list goes on! Our room was the perfect location, literally right on the beach like we wanted. 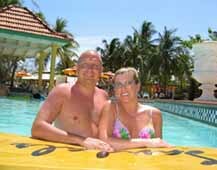 We have told all of our friends how great it was and will certainly recommend you to anyone who is interesting in traveling. We really want to return one day. Thank you so much again to MemorableTravels.com! We received your note while we were there as well and it made us smile :) You really took great care of us! 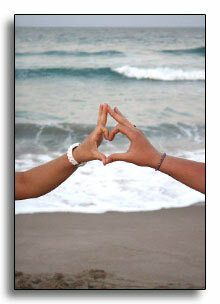 Take care and fingers crossed we can plan another vacation soon! LOL. 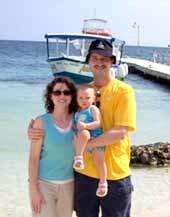 We had such a wonderful trip in Jamaica. 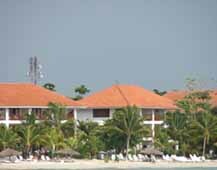 All staff at Hyatt Zilara and Ziva exceeded our expectations. 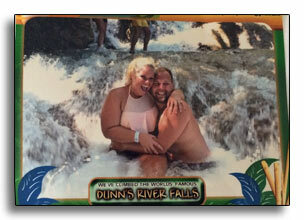 Our Dunn’s Falls tour was fabulous, such fun! We can't wait to go back. 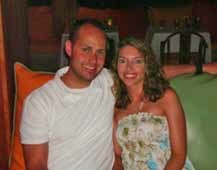 Thanks to Maureen and MemorableTravels.com for all the help arranging a fantastic honeymoon for us! 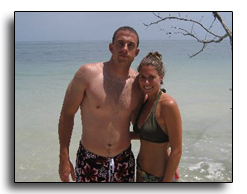 Kelly and I had a great time on our honeymoon. Everything about the resort was great; we didn't want to leave. 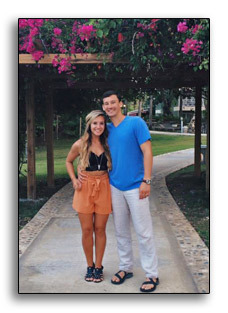 We spoke to a couple very similar to us (young and on a honeymoon) and they were talking about all the booking and room questions they had going into their stay. 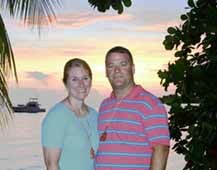 Because of MemorableTravels.com, Kelly and I had all the answers we needed, which allowed for virtually no stress for the entire week. I will be advising people to speak to you about their vacations anytime I get a chance. 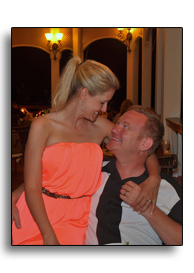 Our vacation at Whitehouse, Jamaica was everything we had hoped for. 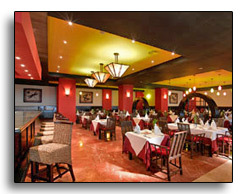 The restaurants were fantastic, especially the Italian restaurant and Eleanors. The lamb at Giuseppe's was absolutely the best along with the red snapper. The service was also very good and everyone was very friendly. Jeff twisted his knee and the staff directed us to the nurse and doctor on call. Thanks so much to Dr. Anderson! 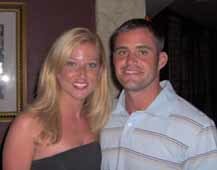 She was sympathetic and did everything she could to ensure that Jeff would be able to enjoy our vacation. The grounds at Whitehouse were beautiful with various colors of flowers and there were so many lovely water fountains to enjoy! The entertainment was exceptional ! 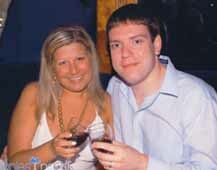 We especially loved White night and the chocolate martinis!!! Casablanca martini bar was always fun with piano sing -a- longs and reggae music for dancing. We also took an excursion to the pelican bar for a unique experience! All this and a beautiful beach too! Thanks for recommending this resort to us. 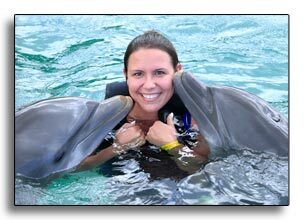 We loved it and can hardly wait to go back!. 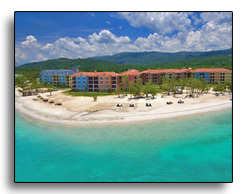 We LOVED the Sandals Ochi Beach Resort ! There were so many places for dinner we had a hard time even fitting them all in! Our room was great and our butlers too! They weren't who we requested but that was ok with us. 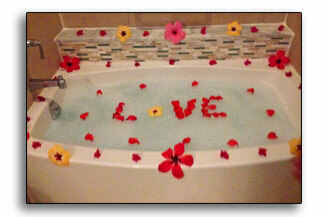 They went above and beyond by making reservations, bringing us surprise food and drinks, and even drawing a bubble bath one night with flowers in it that said "love "! 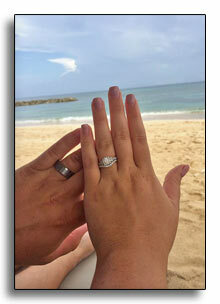 It was just a wonderful way to start the honeymoon. 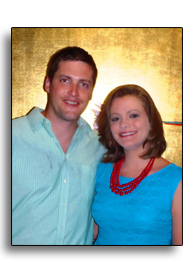 We really loved the sushi restaurant and ​Kimonos grill and Kelly's Dockside​. We made friends with our house keeper and a few waiters and learned a lot about the area. Our house keeper was just the sweetest little girl! We got to see more of the town when we went on the zip line/chair lift/bob sled combo, the Dunn's river falls, and dune buggies. Our favorite was the zip line combo by far. Guides and vendors at Dunn's Rowe were very pushy for tips, which we were tipping everyone we came into contact with while off the resort anyway, but some were just rude about it . However, we met friends who went the next day and their experience was better ​with different guides​. Snorkeling was great! We are thankful we got to go because we tried several times one day and it was too windy, so on our last day we finally got to go. I would recommend to people to try things early in case that happens to them too! The only tiny thing we would change is there to be a longer beach to walk down​ at the resort - but honestly, we had so much to do it wasn't an issue! 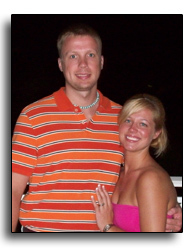 We still are very happy with our decision and had the best time together we have ever had! Completely careless and being ​wai​ted ​on for every move was a change of pace for us! Our room view was GORGEOUS. I really think we were put in the best villa for the best view. 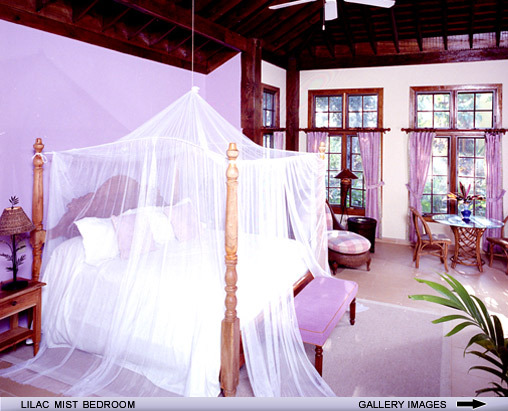 Some other villa's rooms had wooden trim and etc, which our's didn't have but, that didn't matter to us because we had the view which we were able to enjoy over a breakfast on our balcony! Thanks! 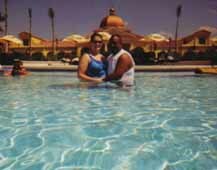 We had a blast at the Couples Resort. 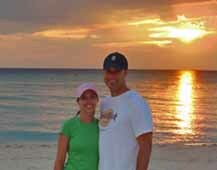 We enjoyed the generous drinks, delicious food, fun excursions, and gorgeous beaches. 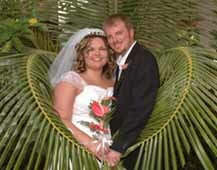 We would love to go back during a future anniversary and we will definitely keep you in mind for planning it. THANKS for booking our trip! 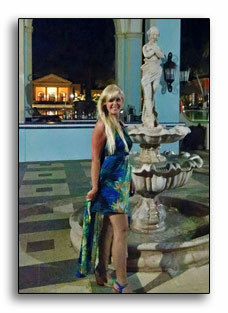 From the time, I got off the plane to the RIU and back was WONDERFUL! 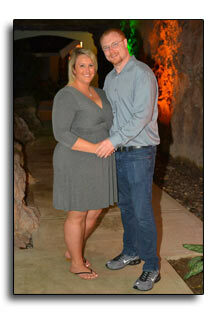 We had a GREAT time and JTL staff was amazing and personable. I look forward to you booking more trips for our family! returned. Hopefully you will hear from them soon. 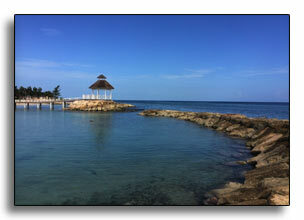 We really enjoyed our honeymoon at Sandals Montego Bay. 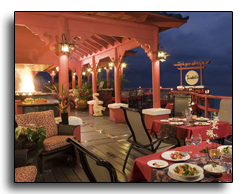 The resort was fabulous and the service was over the top. 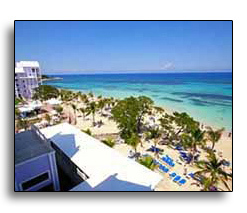 Glad we chose Montego Bay. We loved it so much we will be returning next year for our 1st anniversary! Thank you so much for looking out for us, that was great, we really appreciate it and your service has been wonderful. Thanks for all your help. We look forward to going back! 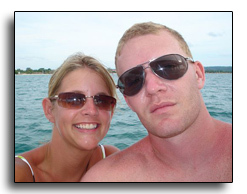 We had such a good time in Jamaica. The resort was amazing. It was so clean and they were always doing updates at night when we were all asleep. The staff was awesome, so nice and courteous. The restaurants were great. I think my favorite was Giuseppe's the Italian restaurant. 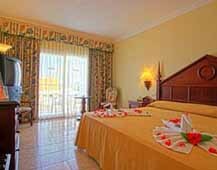 Our room was nice, cleaned every day. We never had to want for anything. The Black River tour was interesting, we got to see 4 crocs. 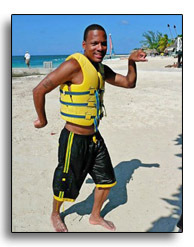 The tour guides were really informative and funny, telling us all about Jamaica. Then we had lunch at a nice restaurant which was tasty, and we headed off to the river. You have your own personal tour guide at the YS falls, and they pretty much are your photographer. They take a camera that you bring and take tons of pics. 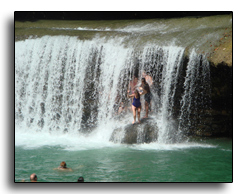 Of course they lead you around the falls too, and help you to get the courage to jump off the rope swing or the falls themselves. 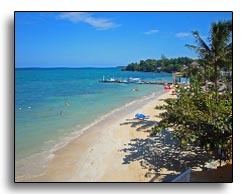 It was so beautiful, the real Jamaica. The dinner on the beach was nice too. I felt like the food they served was even better than that what they served in the restaurants. We got steak and it was way better than in the restaurant. My only complaint was that we were served something like hamburger buns as rolls in the beginning of the meal. We didn't have hamburger buns as rolls in any other restaurant....but other than that it was really nice and romantic. While we were there we also used the $150 Red Lane Spa credit and we bought an additional massage so we could have side-by-side massages. We got the Red Lane sampler because we couldn't decide what we wanted to get. It was so nice! Afterwards I was so relaxed I felt like jelly. I would recommend people stay in the Dutch village if possible. That's where we were. It's in the middle of the resort. Not right next to the restaurants (Italian village was), but more chill than the French. The main pool has an awesome swim up bar, though it's always busy. I liked the bar at the Dutch village. They made the best drinks. Get a Miami Vice drink! It's kind of their thing there. One tip I do have is sign up for watersports early in the day. If we weren't snorkeling or seeing the glass bottom boat before lunch, then it wasn't happening--it was just too windy there and the red flag went up most afternoons. Thanks so much for assisting us in all of this. 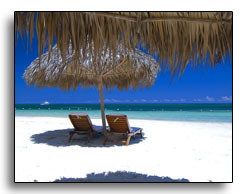 We will pass on your name to anyone needing a travel agent. 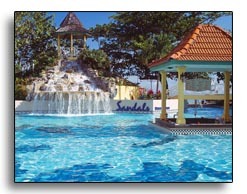 Can't wait to go to the next Sandals!! Our trip was amazing. We enjoyed every minute. Thank you so much for the fruit plate. Whitehouse was the perfect location for our honeymoon. 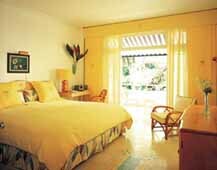 Luxurious, quiet, and relaxing. The service and staff were excellent. Having a concierge was wonderful. 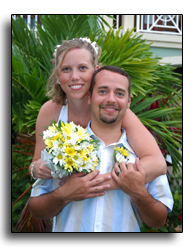 It made scheduling all of our events much easier. 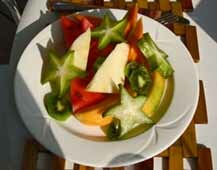 Katie fell in love with the fresh mango from the fruit plate you sent and the concierge made sure we had plenty. The food was amazing…we loved the breakfast buffet. We had at least two crepes per day from the Café de Paris. I could go on and on. 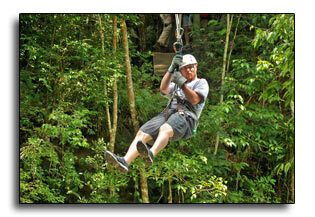 The zip line tour was amazing as well. We rode 9 different zip lines. The guides were great and entertaining. As for tips for other travelers…just go to Whitehouse. It is worth every penny you spend and more. Thank you so much for the suggestions and your help with the flight fiasco! What an excellent trip!!! Olivia cried when we left. We just wanted to let you know that we appreciate everything you set up, it was a blast. 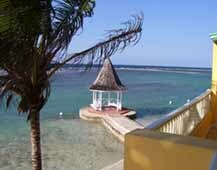 We loved Sandals Montego Bay and our beautiful Butler suite. I am sure we will we going on many more fun trips in the future. We had a WONDERFUL time. 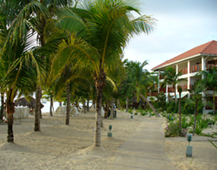 We would definitely recommend the Grand Palladium. It was beautiful, clean, and had tons of stuff to do. We read online that you had to wait in line for the ala carte restaurants, but the only night we had to wait we waited about 5 minutes. We absolutely loved it! I really cannot say enough good things about it. The one tip I would give is to make sure to take about $100 in $1 bills for tipping. Everyone works so hard and a few dollars here and there goes a long way. Also, with the tropical climate we fit all of our stuff in carryons and didn't have to pay the luggage fee, which was great, and also a lot less hassle through customs! We really had a wonderful time and can't thank you enough! 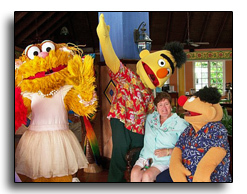 We all had a great time in Jamaica and the Sunspree was incredible. The buffet food at night was great. Also, they always had a grill going with French fries, hot dogs, grilled cheese, cheeseburgers, and nachos. 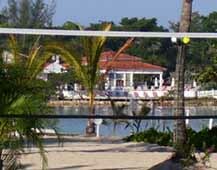 There was an island right across from the resort that you could walk across to. 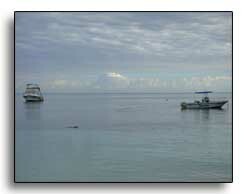 It was a neat place to snorkel around and watch the sunset (which was brilliant). 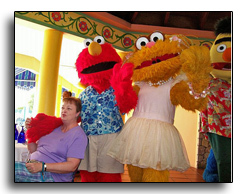 The service at the resort was great. 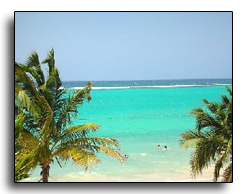 Jamaica Tours did a fantastic job with transportation to and from the airport. Also, we went and did some amazing things. I would highly recommend you suggest future travelers go to the "Luminous Lagoon" There is phosphorescent matter in the water so when you swim through it you literally glow! 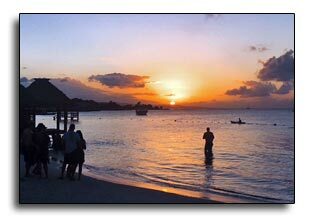 This only happens four places in the world and it is brightest in Jamaica. You look like the aliens in Cocoon when they come out of their human "costumes." Plus, it was very affordable. 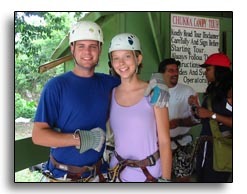 Allan and I also did zip lining through Chukka tours and it was INCREDIBLE. There were seven zip lines and two repels. 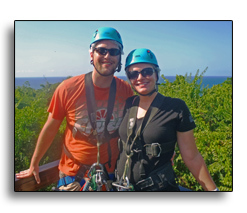 One was 180 feet across and you could see all the way out over the mountains to the ocean. We also did a shopping tour. If people don't like being haggled advise them not to get off at the stop where locals are selling their merchandise in little shops. They are pushy, but also very friendly. Allan and I walked away with no money because we both have a hard time saying no LOL! 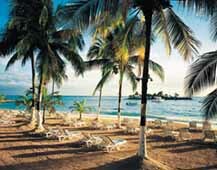 But the shopping tour is a good way to see Montego Bay for a low price and you can also get some very good deals. 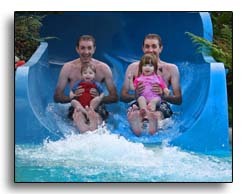 The Sunspree is very family oriented. It would be a good place for people with children to go. 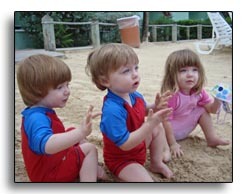 They have a daycare center, and most people were there with their families. You might also want to recommend that men bring long pants even if it is just jeans. Derrick forgot to, so we could not make reservations at some of the nicer restaurants on site. (Maybe you do recommend that and he just forgot). Also, if people are drinkers, the glasses they give you with the unlimited drinks are very small, but if you pack a BIG cup, they will fill it to the brim. It was a wonderful vacation. 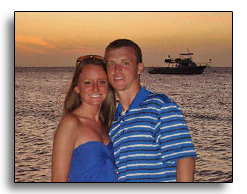 We were so happy to have the chance to go and we really appreciate all of your help. 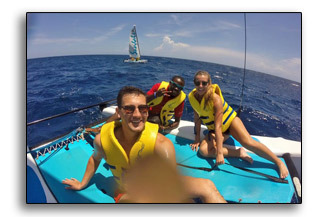 I just wanted to send you a quick note thanking you for organizing and planning our recent trip to Sandals Dunn's River. 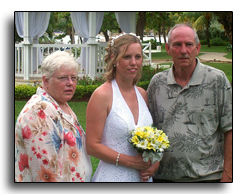 You made all the arrangements seamless which was very comforting since we were only giving you a week and half notice before we wanted to leave for Jamaica. 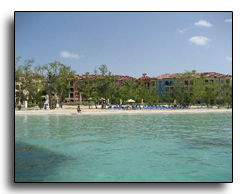 Sandals Dunn's River was a beautiful resort. 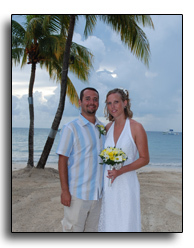 From snorkeling to the Sandals returning guest dinner to climbing the Dunn's River Falls, we knew, with your help, we had made the right decision on our vacation destination. It was a nice surprise upon arrival to see Happy Anniversary balloons and notes waiting for us in our room. 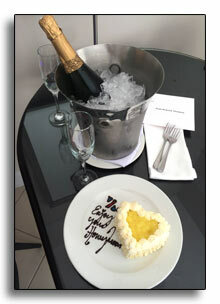 And thank you for putting in the extra touch of sending us a personalized note and Happy Anniversary cake to our room! 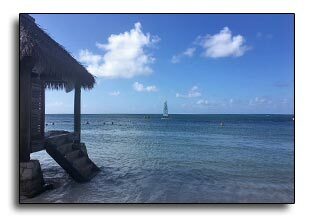 We had such an amazing time and enjoyed our stay at Sandals Dunn's River for our 5th wedding anniversary just as much as we enjoyed our time at Sandals Whitehouse for our honeymoon. 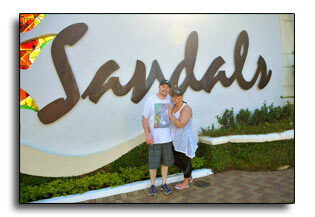 We look forward to many more trips to Sandals!! Thank you very much for your help and gifts with planning our honeymoon! 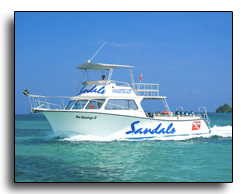 Sandals was a wonderful experience complete with romantic views, service, and activities. There was plenty to explore and great food! 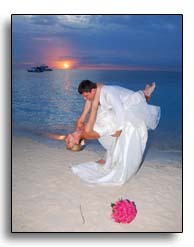 Our honeymoon was very enjoyable and we're recommending it to our family and friends for a great romantic destination. 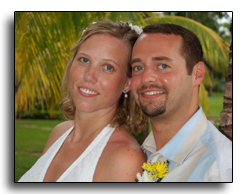 We want to say thank you for everything you did to make planning our honeymoon easy and smooth. Luther and I loved every minute of it. We know that we will be booking more trips in the future! Thank you so much for organizing this trip of a lifetime for us. We had an awesome time at Beaches Boscobel. We were truly treated well in every aspect of the trip. The children loved the Kids camp (0-2). 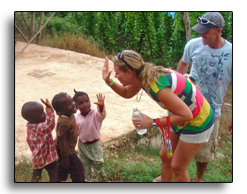 The staff loved the children and made us feel at ease when leaving them. Elmo came for story time so we had 2 happy and one sad. 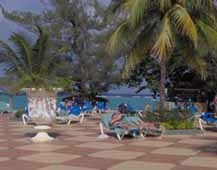 The beach was lovely and secluded as well as the pool was fantastic and the children loved it. Lots of steps around the resort but we found a way to take the strollers around the resort so it was not a problem for us. Food was excellent and we were welcomed at all the restaurants. Thanks so much for organizing it for us. We just want to thank you for everything you did to ensure that our trip went smoothly, and smoothly is exactly how it went from arrival to departure. 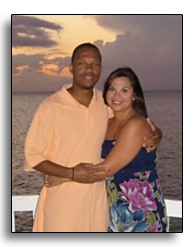 We relaxed, met new people, had romantic dinners and went out on the Red Dread for the party cruise. We had a blast!!!! We ate probably some of the best food of our life and the Royal Thai was fantastic. I knew it was going to be nice but the experience went above and beyond what we expected. 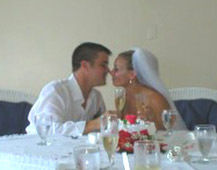 Everything was perfect and we cannot express to you how pleased we were with everything. We hope to revisit next September for our 1 year anniversary. 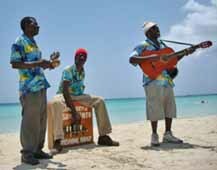 Also, let me know if you ever need anyone to come to your Sandals shows to tell about their personal experience because we will. Sandals is for sure the way to go. We loved it!!! 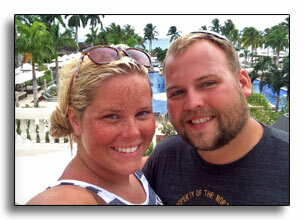 We want to thank you for helping us plan our amazing honeymoon in Jamaica! 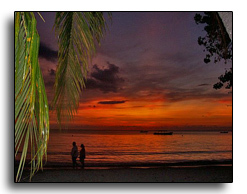 Sunset at the Palms in Negril was the perfect resort for us. 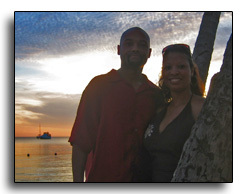 We wanted something private and relaxing and Sunset at the Palms was exactly that. The food was excellent and the staff really made us feel welcome. 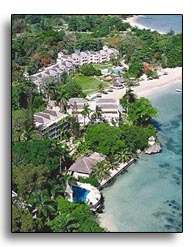 We had a wonderful time and would highly recommend this resort to anyone for their Jamaican honeymoon. 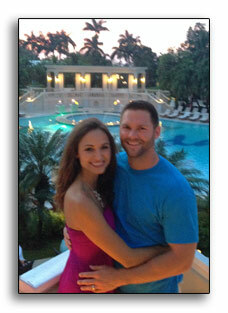 Our honeymoon is what we like to refer to as our "Honeymoon in Heaven!" 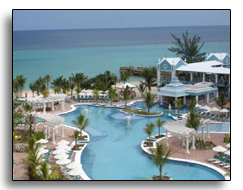 after attending a Sandals night, we had our hearts set on going to Montego Bay Jamaica! As soon as we arrived we were awed by the first class courtesy. 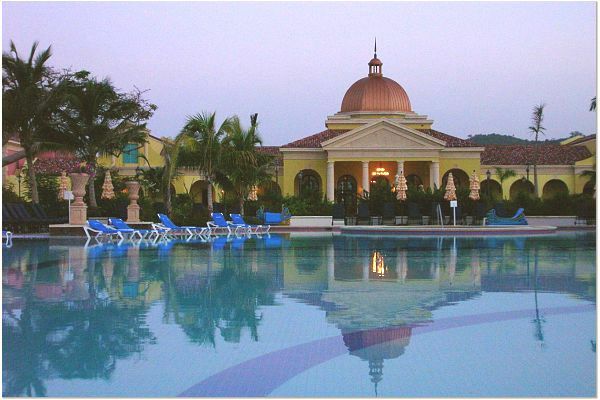 The food, amenities, activities, and the resort itself were nothing like we had imagined, it was way more!!!! It was the most beautiful and friendly place we had ever visited. We stayed in a luxury seaside room with a perfect view of the ocean, direct access to the piano bar and one of the swimming pools. This was not one of the honeymoon suites, did not include a butler, Jacuzzi, or anything over the top. It was however perfect for the 2 of us! 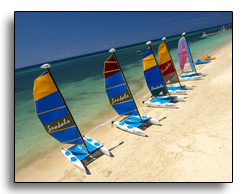 At a resort like Sandals there are so many activities, tours, and sunshine that you are rarely in your room anyway. We were glad we had not spent the extra money on something we would have not gotten to enjoy fully. 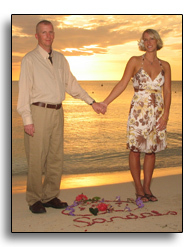 Some of the favorite things we did at the resort included snorkeling, glass bottom boat rides, and the romantic dinner on the beach pier with our own butler on the last night. 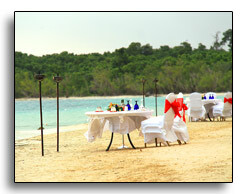 You can not go to Sandals and miss out on the dinner on the beach!! It is amazing and a memory we will always have. 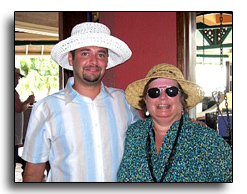 Outside of the resort we enjoyed tours that would never have been possible without our travel consultant’s hard work and expertise. 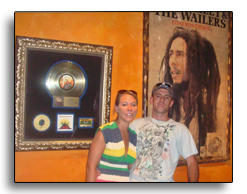 Besides the dinner on the beach, our tour to Bob Marley’s house was by far something you should not miss while visiting Jamaica! 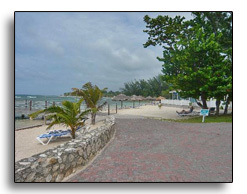 It truly opens your eyes to Jamaica outside the gates of the resort. Your travel through the country to Nine Mile is amazing. The rural farmers, children, schools, and homes are nothing like you would ever guess. 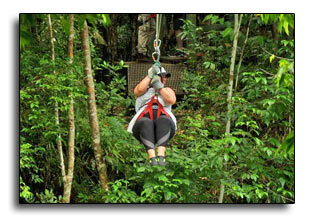 We also went "flying" through the Jamaican terrain while attending the zip line tour!! What a way to really enjoy the scenery!! It's a must do! The guides were fabulous on both tours and treated us as family! 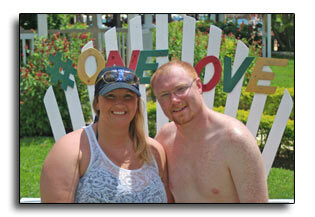 I could never say enough to truly express what a wonderful time we had on our Honeymoon in Jamaica. 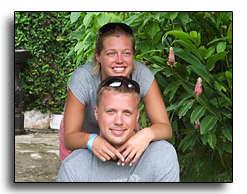 We have already begun talking about our next trip, and hope to go back as soon as possible!! 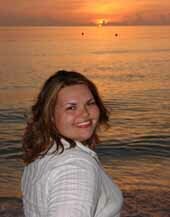 Thanks again to our Memorable Travels consultant who we owe our wonderful trip to. Her hard work to find us what we wanted and in our price range is something we could never pay her back for! 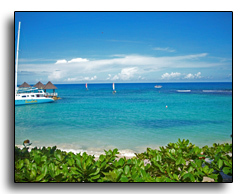 Hope your trip to Jamaica is as wonderful as ours! This trip was amazing!!! I'm so glad that we decided on going to this resort. 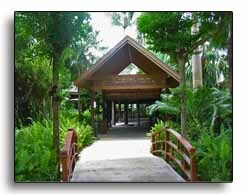 The atmosphere of the resort is so relaxing and everyone is soooooo very nice. 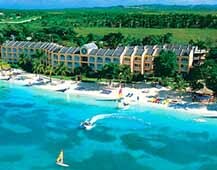 The pictures does not do Jamaica justice. It is such a beautiful place and their culture is amazing. Although we did not get to do everything we wanted to, just being there was great. 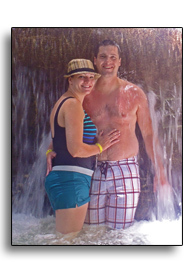 We did get to go to Dunn's River Falls and I advise anyone who is going to Jamaica to participate in this adventure. The guides are very nice (and funny!) and the experience will last a lifetime. 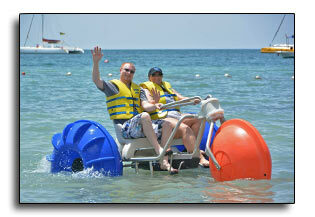 At the resort we participated in water bikes and kayaking. The ocean is beautiful, unlike any ocean I have ever seen. 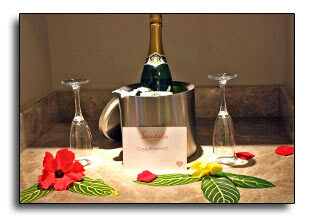 My husband and I went over our 1 year anniversary and the staff at the resort made that night and day very special for us, starting with a rose petal covered bed (and a heart made of towels) and a bottle of champagne. The next morning we received breakfast in bed. I couldn't have asked for a better anniversary. 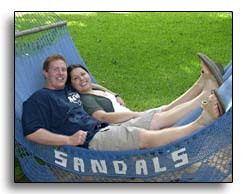 I can't wait for our next trip with Sandals...we've already been talking about it!! THANKS again for your help...without you, it wouldn't have been possible. 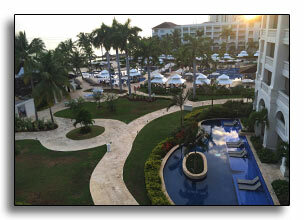 We really enjoyed our stay at Sandals Montego Bay. We started out in the Bay Roc room overlooking the ocean (an upgrade) but the room did not have a balcony. 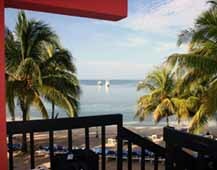 They then moved us to a slightly smaller room with a balcony and a view of the ocean- it was fantastic. It still had the Jacuzzi and everything, but it did not have the separate shower and Jacuzzi. We did not mind since we really wanted either a balcony or patio. 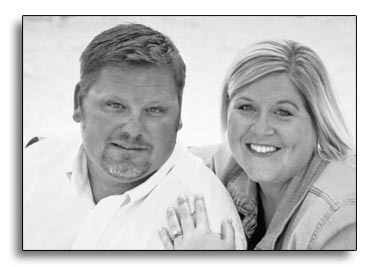 We were overwhelmed with the great service that we experienced all week. The employees were fantastic. 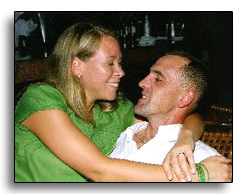 I would never have chosen that particular resort on my own, but it was the perfect place for us. 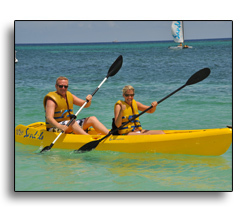 We did not do much of anything but there were a lot of activities at the resort. We liked the atmosphere, and there were enough older couples that we did not feel out of place. 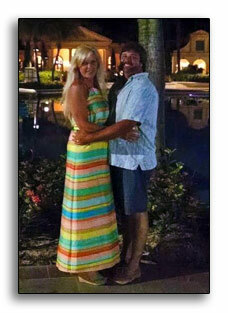 It was a special trip for both of us, and the resort could not have been better. 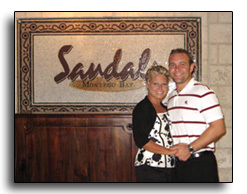 I will contact you the next time we decide to travel; we would like to visit another Sandals location. Thanks for all of your help. We REALLY appreciate it. Thank you for your best wishes. 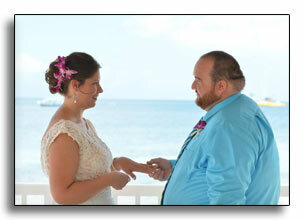 Wedding was just great and the honeymoon was even better. We enjoyed ourselves so much! We had an amazing time and everyone was just super nice. We didn't want to leave. Thank you for all of your help. You were wonderful! Yuck! Its no fun coming back to reality…lol! We had an amazing time. You definitely get what you pay for. I would recommend it to anyone. I am so happy we picked Whitehouse. Everyone is so friendly and it is truly beautiful there. Yes, we got the crystal/china flyer. THANK YOU sooooo much for doing that. I swore I had that with me because it was so important and I wanted it so badly. But it got taken care of I and I really appreciate all your help. You made this trip possible for us and we are forever grateful. 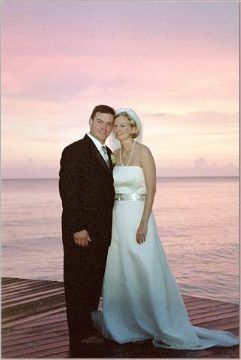 Our honeymoon was wonderful and that is something Jonathan and I will cherish forever. Thanks again for everything you have done for us. Hope to talk to you soon. 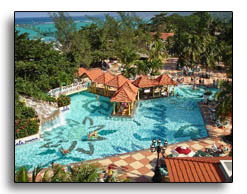 We had a fantastic girls getaway in Ocho Rios Jamaica!! 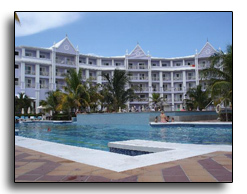 Our RIU resort was fairly new and absolutely beautiful and catered to our every need. 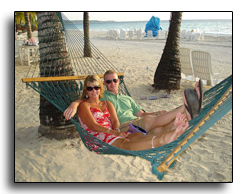 There was so much to do in the resort and yet so relaxing if you just wanted to lounge in the sun. 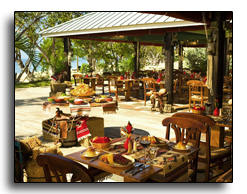 As with most all-inclusive resorts our reservation meals/specialty restaurants were the best over the buffets. 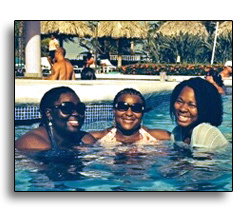 The water was several shades of blue every day and our favorite activity was lying in the sun or hanging out in the water. 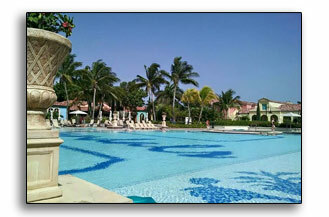 While the pools in the resort are spectacular with built in lounge chairs, swim up bars, etc. 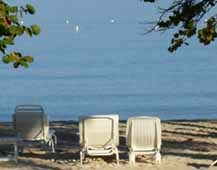 we found ourselves in a chair on the white sand every day! 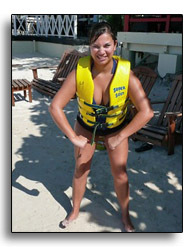 The evening activities at the resort were the best I’ve seen at any all-inclusive. It also has its own dance club should you feel the need. Find yourself a regular bartender and you’ll have drinks made exactly how you like!! 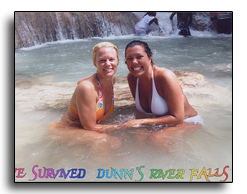 Absolutely do the tourist thing and climb Dunn’s River Falls! It was an amazing experience and one I highly recommend even though it is such a big tourist attraction. You’ll even make new friends along the way as you climb the falls. 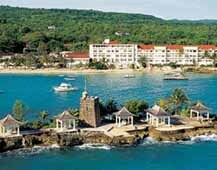 The transport from the airport to the hotel is long, but we enjoyed seeing the “real” Jamaica along the way and the rest stop in itself was an adventure with a beautiful ocean view, cold beverages, etc. We also spent a couple of hours shopping in the little village and found some fun bargains. A stern “no thank you” will help you to shop in peace and they never charge you what’s on the sticker price. 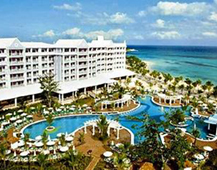 Overall this vacation ranks in my top 3 and I highly recommend RIU Ocho Rios in Jamaica where “Everyting is Irie”!!! Thanks for a wonderful summer vacation…we really appreciate all your help and input. 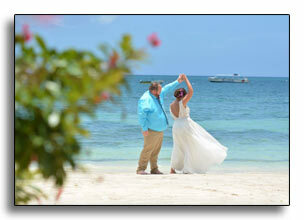 We had the time of our lives in Negril, Jamaica! 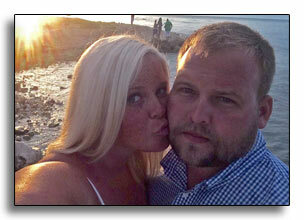 After several rigorous months of planning for the wedding, we were in desperate need of a serious vacation. 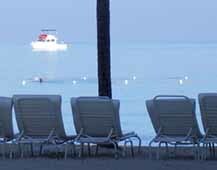 A week in lovely Negril at the Sandals Resort was just what we needed. The staff was so friendly and helpful and the food was amazing! 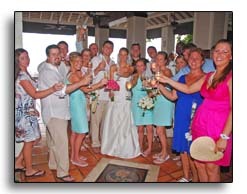 We also liked the fact that the resort was not too crowded, which invoked a more intimate setting for couples! 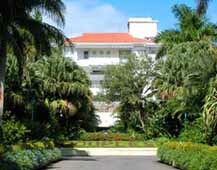 Although it took some time to get from the airport to the resort, we enjoyed having a “tour” of the island. The drivers were very knowledgeable and eager to share information. 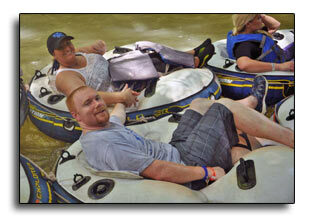 We also wanted to take time to experience more, so we took the day-long Riverwalk excursion. 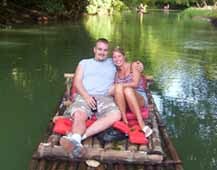 The trip is about 1.5 hours into the mountains where you will find a piece of tropical paradise - the secluded, but gorgeous Mayfield River! The cascades are breath-taking as you hike along the bank and swimming in the cool water was just what we needed during the heat of the day. 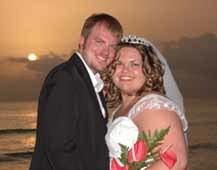 Many thanks to Memorable Travels for helping us make our honeymoon one to remember. 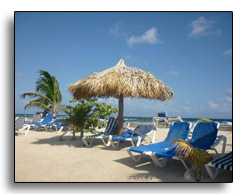 Your service was excellent and we look forward to your assistance in planning our next vacation. 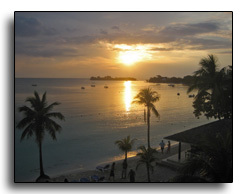 We stayed at Sandals Negril, and it was picture perfect. 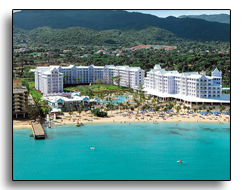 I would highly recommend the resort and using this travel agent as well. We didn't have to worry about anything while we were there. Even though we just booked the concierge suite, we were surprised when we arrived to have been upgraded to a butler level suite. It was wonderful. I couldn't imagine the trip without a butler. It was worth the extra money and I highly recommend it. 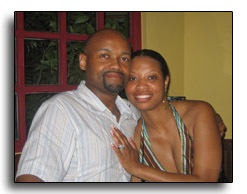 They brought all our drinks, food, made the bath at night with champagne, chocolate covered strawberries, and rose petals, and booked all the meals and outings. 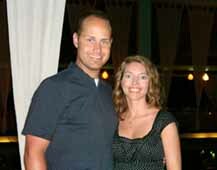 We look forward to booking with Memorable Travels again next year, and hope to make this a yearly trip for us. Thanks again for all your hard work for making our trip truly memorable. 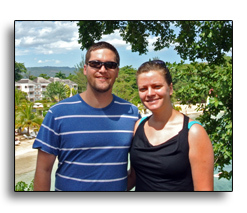 We had a great time in Jamaica. 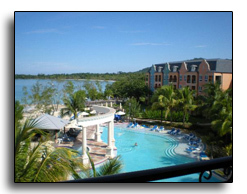 The resort, Sandals Royal Caribbean, was great, the employees were all very friendly! The food was plentiful. A few dishes lacked a little “something” but otherwise we had a blast. Thanks for your help. 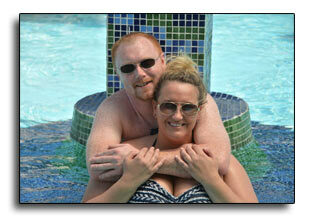 Our honeymoon at Couples Swept Away was absolutely perfect...the resort was fabulous! 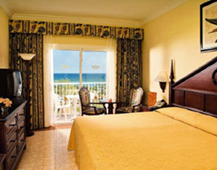 We got an oceanfront room, which the staff kept very clean and the mini bar stocked regularly. The food was amazing ... extremely delicious with gourmet presentation. The ocean was beautiful, as was the sand. The activities were endless; free activities were fun, and payable activities were just as enjoyable. 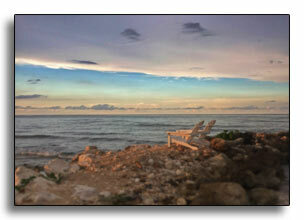 The ride to the resort was somewhat long, but it was very interesting to see the countryside of the real Jamaica. 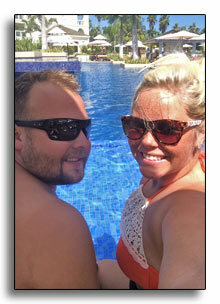 Overall, this was a perfect honeymoon and we highly recommend for every couple to visit this resort! 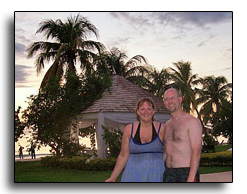 We had an amazing time in Jamaica. It was exactly the kind of vacation we hoped it would be, and I know we will enjoy it with fond memories for years to come. 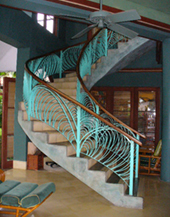 The villas were beautiful and the staff was fabulous-we never wanted for anything the entire trip! 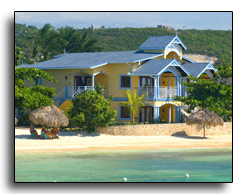 I would not hesitate to recommend Moon Dance Villas to anyone looking to live a pampered life in a beautiful location! Thank you so much for your help. 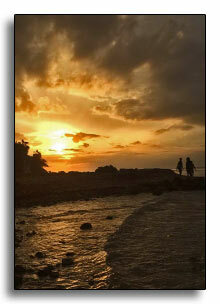 Couples Negril was incredible. 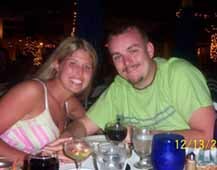 We had great food and drinks all week and really enjoyed our stay. 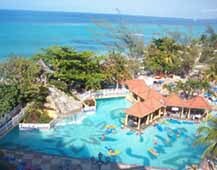 Dunn's River was absolutely gorgeous! The grounds crew kept it pristine at all times! The views were absolutely breathtaking! The restaurants were wonderful....and when we didn't get full we ordered room service or ate at the all night grille or pizzeria! 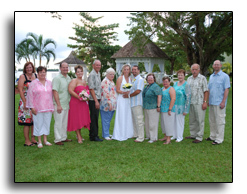 The staff was extremely friendly and made our stay a very welcome and open atmosphere at all times. They are extremely eager to please and want you to be happy! 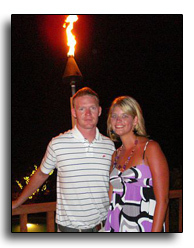 The poolside, beach, and night time activities were a BLAST! We didn't do so well at the newlywed game...but we got a free bottle of rum (which is always good)! :) Memorable Travels was such a HUGE help! They made sure there were no worries for me and everything went just as planned! And it did!!!! 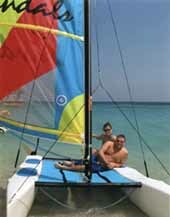 We will definitely use Memorable Travels again and again whether planning an anniversary trip or a family trip! Also, we requested the platinum china and have already received it and it's beautiful! It only took 2 weeks! Thanks for everything! You were great! 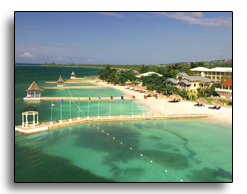 Our stay at Sandals Royal Caribbean, for our Honeymoon, was nothing less than magnificent. 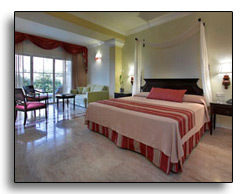 We stayed in the Butler suite, and we must say, its the only way to travel. We had a Butler 24 hours a day, who was wonderful. Although, the Butlers do accept tips, they make it worth every dime. 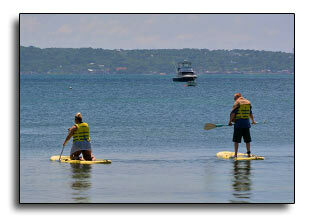 We didn't have to schedule anything, Okley, our Butler, made all of our reservations for any excursions we chose. Staying in the Butler suite came with many advantages above other guests. You are taken to express check-in/out where you are served with champagne and baked goods, you have a cell phone that is given to you by your Butler which allows you to contact him directly, your Butler escorts you to dinings, excursions, and is always available. 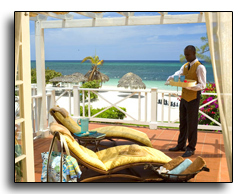 The staff at Sandals Royal Caribbean is wonderful. 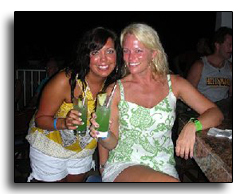 Everyone is very friendly and hospitable. We enjoyed our stay so much, we intend to go back. The grounds were unlike anything we have ever seen. The views were breathtaking and as well as the weather, not a drop of rain the entire week. 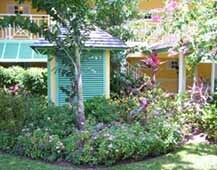 If you are looking for a wonderful vacation destination and want to be pampered around the clock...stay at Sandals Royal Caribbean in the Butler Suite! 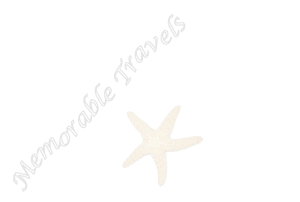 We would also like to thank Memorable Travels for their outstanding service. 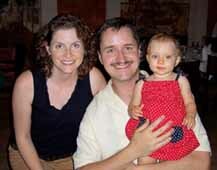 Our consultant went above and beyond anything we could have asked for. 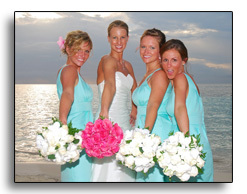 We will definitely recommend your agency to anyone who is looking to travel. Thank you for the rum & snacks and the card you sent! That was very thoughtful! 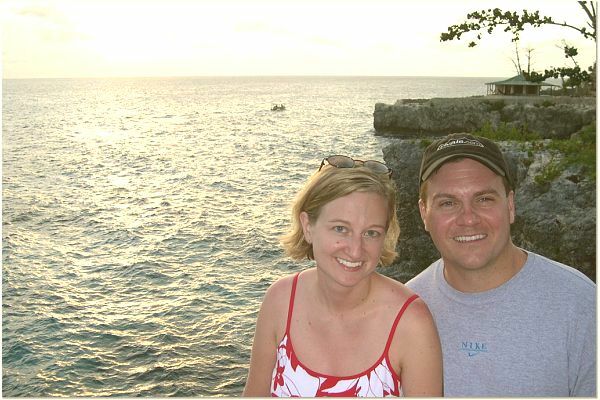 We had a great time in Jamaica. 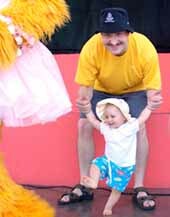 Avery loved the Sesame Street character activities. 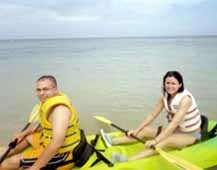 Maurice and I really liked snorkeling, kayaking, and of course the food & drink! 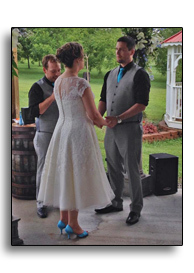 I did have to present my marriage certificate in both countries in case anyone else asks you about that. You might want to tell people to bring a watch. Our cell phones didn't work, and there were no clocks anywhere. 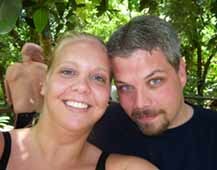 My wife and I just returned from our fourth trip with Memorable Travels. 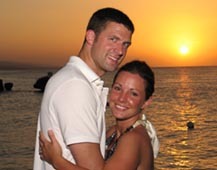 We both love the Sandals Resorts and highly recommend them. 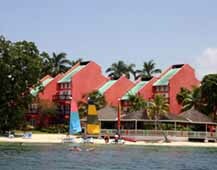 We have stayed at Sandals Ocho Rios twice. 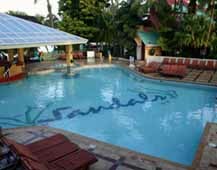 If you are planning on going during a busy time of the year Sandals Ocho Rios is a better resort to stay at. 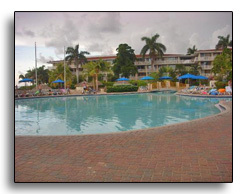 It is much larger and has bigger pools. 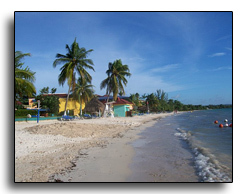 While in Negril we also visited the Beaches Sandy Bay that is next door to Sandals Negril as well as the Beaches Negril. 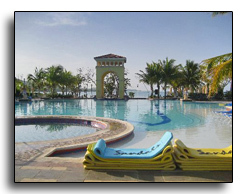 The Beaches Negril has a water park and we both liked it better than the Beaches Sandy Bay. Our trip started out a little rough because of Hurricane Ernesto. We were originally scheduled to leave on Sunday August 27th. Delta cancelled our flight and that is when the fun began. 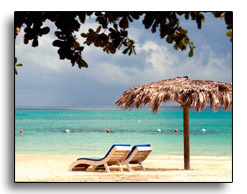 Our travel consultant did a good job working with Delta and Sandals. We eventually just moved everything up a day so we got to stay our original six nights. 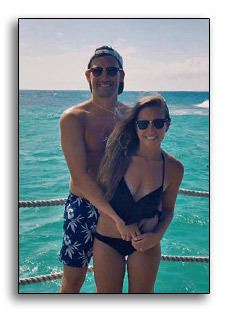 I can tell you at least one of the couples that we flew down with did not know until Wednesday what their final plans were because all of this occurred on the weekend. 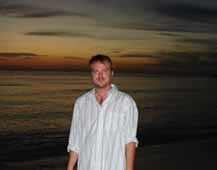 I have never had trouble getting in touch with my travel consultant no matter what day of the week it is. Thanks for another GREAT trip. 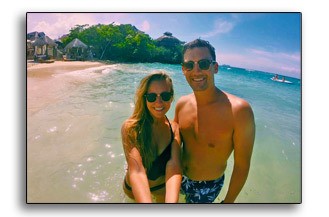 Our honeymoon was a paradise fairy tale. 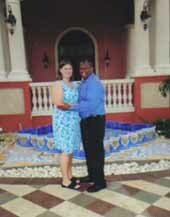 We had a wonderful time in Jamaica. 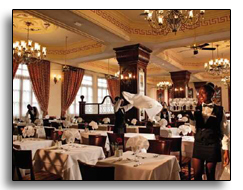 The staff was the best- they truly made you feel like royalty. Our accommodations were dreamy. Our fridge was stocked with sodas, water, and Red Stripe. There was also a variety of alcohol in the room. The restaurant food was fabulous. 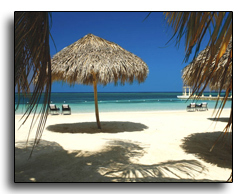 We have done nothing but write rave reviews about all the Sandals Employees we've met- no complaints whatsoever!! Thanks Memorable Travels for making it possible! 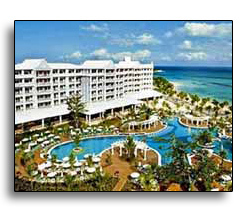 I thought the RIU Ocho Rios was great! We really had no complaints. 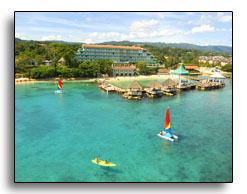 The drive from the airport was somewhat lengthy, but it gave us a chance to see what "real" Jamaica looks like. 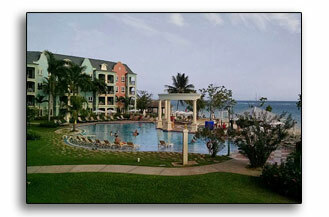 Our resort, as you know, was still less than a year old when we went, so everything was beautiful. The atmosphere was great! The beach was beautiful and always clean. 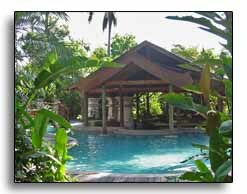 The two pools were also clean and beautiful. The staff was great and there were always activities going on througout the day. I was amazed at the caliber of the entertainment staff, their performances were great. The buffet was average, but the specialty restaurants were great. It was a hassle to get up sooo early in the morning to make reservations, but well worth it. I can't thank you enough times. 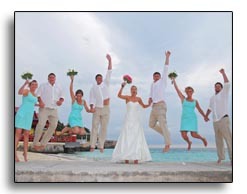 We had a wonderful time at Sandals Whitehouse. It was beautiful, peaceful, romantic just to name a few. 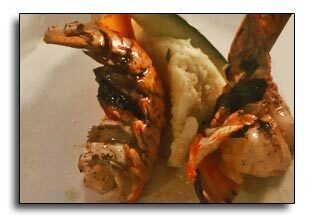 The food was great, the service was exceptional. We had good weather except for Friday it rained until about lunch time. We didn't do any tours but were never bored with all the on site activities. 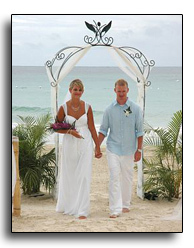 I would recommend your services and Sandals to everybody. Another thank you to you for leaving enough layover time for us so we didn't miss our connecting flights and weren't even worried we were going to. 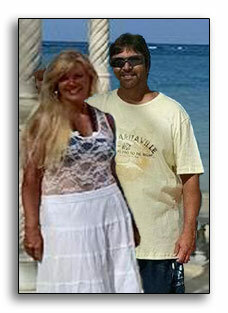 I am attaching two photos of us at Sandals one in the main pool and the other going to dinner one night. Thank you again and take care. 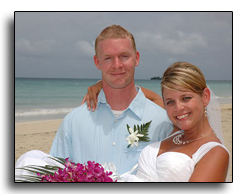 Thanks for helping us book our trip to Couples Sans Souci. 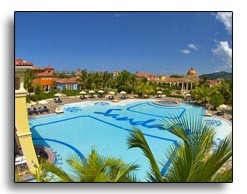 I would recommend this resort to anyone. 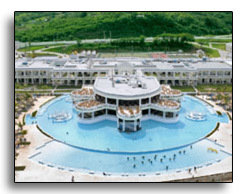 The resort was full while we were there but with 35 acres and only a 140 rooms it never felt crowded. The food was great. There was a such a variety that we didn't get to try everything. We especially loved the in room dining. Sometimes we would order it more than once in one night. 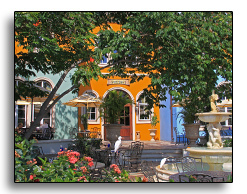 We ate at Casanova, the Italian restaurant on Wednesday. We had a four course candlelight dinner with lobster. Not something we are used to. We loved it. The resort was absolutely beautiful. 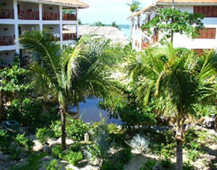 There were lush gardens, hammocks, and many different sea views at every corner. 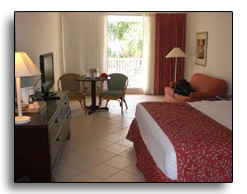 Our room was A25 which was a top floor corner beachfront suite. 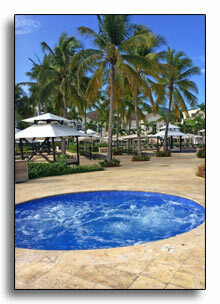 We had a view of the pool and beach and a huge jacuzzi bathtub. 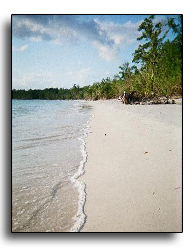 The beach was small but private and their was a lot to do from swimming to canoeing, to sailing, etc. All included. We liked that the water stayed shallow for a long distance and we were able to swim pretty far out and could still stand. 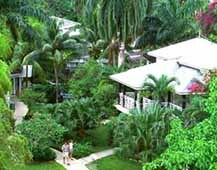 We did three excursions; Island Village Shopping (included in resort price), Dunn's River Falls (included in price), and Blue Mountain Downhill Bike Tour. 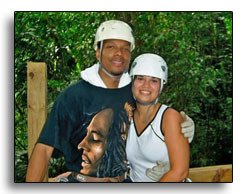 The shopping was OK. We loved Dunn's River Falls. We also loved the Blue Mountain tour, which was a 20-mile downhill bike ride in the Blue Mountains. However, the bus ride to the Blue Mountains was horrible. We both car carsick because of our driver's erratic driving and all the construction. It was a 2 1/2 hour ride. 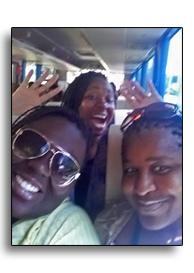 But we felt it was worth it as we got to see the beautiful mountains and another side of Jamaica. The service we received was great all week. Twice they sent champagne to our room which we thought was a nice touch, even though we weren't honeymooners or celebrating an anniversary. They would try to accommodate any reasonable request. 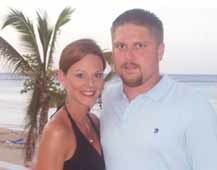 This was our first all-inclusive vacation, but won't be our last. 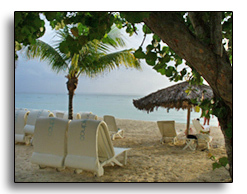 I would love to go back sometime, but I think we will first go to one of the Couples Resorts in Negril so we can see the beautiful beach there. 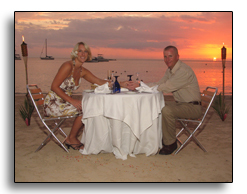 We feel that Couples Resorts are a great value for their inclusions and service. 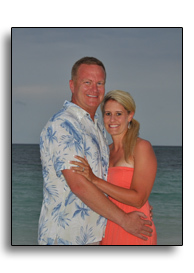 Thanks for you for all you did to make our vacation great. 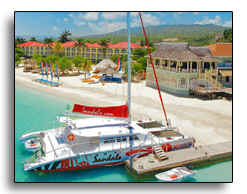 I wanted to write and thank you for all your help in planning our trip to Sandals Dunn's River. We had a great time! The weather was perfect, and so was the hotel. Sandals is definitely the way to go! The hotel, service and food was incredible. We would definitely recommend it to any of our friends. 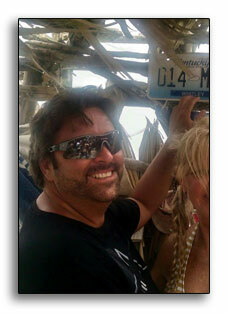 I have attached a few pictures from our trip. Hello! 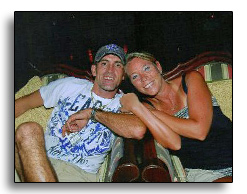 Our names are Brad and Amanda, and as a married couple now, we will say our honeymoon was WONDERFUL!!! 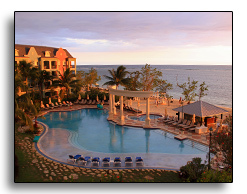 We traveled to Jamaica and stayed at Sandals Montego Bay. Our stay was 6 days and 5 nights..............and that wasn't long enough! 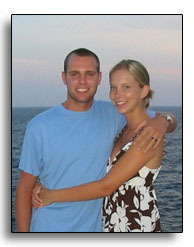 This was actually our first trip out of the states, so it was an experience we will never forget. 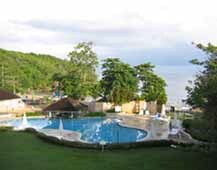 The atmosphere in Jamaica was so relaxing and enjoyable. 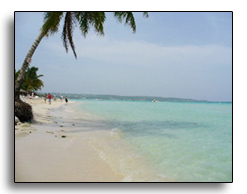 The sandy white beach and the aqua colored water was beautiful. We got to do so many things while we were there. 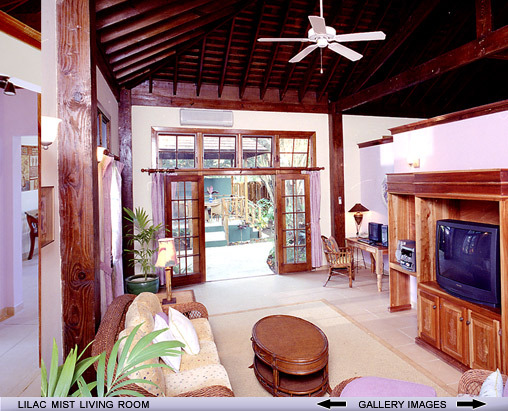 Snorkeling, tanning, a raft ride on the Martha Brae River, a trip to Jimmy Buffets Margaritaville, traveling to the neighboring Sandals Royal Caribbean, attending the beach parties, etc. It was all a blast because there was always someway to have fun. We couldn't have been treated any nicer than the way we were treated. 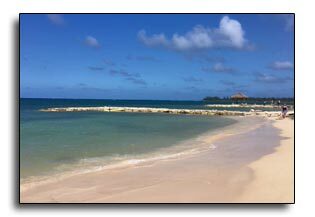 Everyone who was involved in this trip was fabulous - from our fantastic travel agent Memorable Travels/Gogo Travels, to the Sandals airport crew, and all the staff at Sandals Montego Bay. If we could only explain the respect and kindness we received. It was truly GREAT! 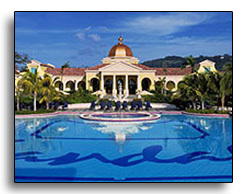 If you want to be treated like a prince and princess, take a trip to Sandals and ask Memorable Travels to be you agent! 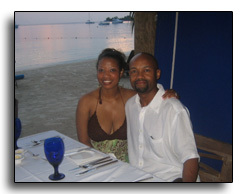 J. and I had a wonderful time in Negril. 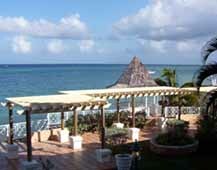 The accommodations were outstanding, the food was delicious and the beach was gorgeous. 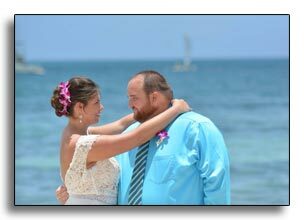 We definitely had an awesome honeymoon, and couldn’t have asked for anything more! I think we gained at least 5 pounds while we were there! It very well may have been the first time in a long time for the both of us to sit down and consciously eat 3 meals a day – usually breakfast and lunch for us are on the go! 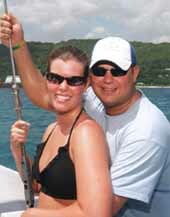 Our trip was very relaxing; while we didn’t venture off the resort (except to go to Margaritaville) we did go snorkeling. It was J.’s first time, so he was a little timid but I think he enjoyed it just the same. Everyone was extremely friendly, especially the playmakers! 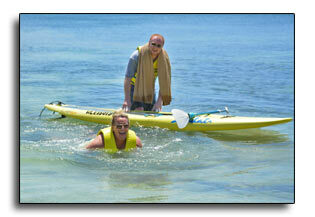 We participated in several activities and did the water aerobics every morning at 11AM. I did close my eyes traveling to and from the airport – driving on the “wrong” side of the road and vehicle on small, narrow streets was an experience! 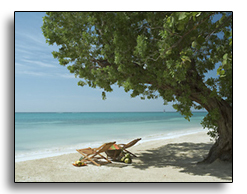 Thank you also for the information on the points we’ve earned through Sandals. J. and I are already in discussion about a trip for our one year anniversary, so maybe we’ll use the points for that trip! 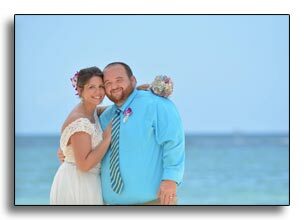 We can't thank you enough for planning out trip to Tammy and Andrews Wedding in Jamaica. 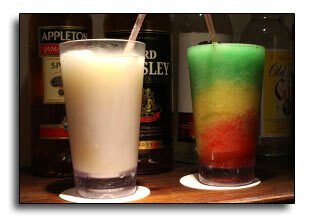 The folks at Dunn's River went overboard to make out stay the best there is. We will definitely be going back, and hoping you will arrange our plans. In fact next year we are thinking about heading to Alaska probably in June. so look for our call for help. Thank You, and Thank You again, and again for planning such a wonderful trip. 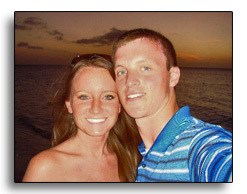 I want to tell you how wonderful our honeymoon was! 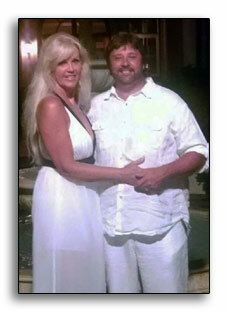 Jason and I had the best time – the resort was beautiful and the ocean was breathtaking. We loved the food and had a lot of it! 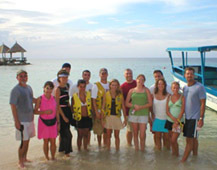 We spent a lot of time on the beach and did some of the activities like snorkeling and the glass bottom boat. We went shopping one day and to Rick’s Café which was neat and we went to Mayfield Falls one day which we really enjoyed. We both loved the unique fruit they had and we got a lot of pineapple/banana smoothies. Thank you so much for helping us plan our honeymoon. It was just what we needed to get away, relax, and have fun! Thank you so much for the travel advice, I know it took a lot of patience dealing with us, but you sent us to a beautiful place. I don’t think our honeymoon could have been any better, and everthing worked out very smoothly and are already in talks about planning another trip with you. 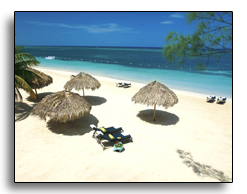 Jamaica was awesome! It exceeded most all of our expectations. 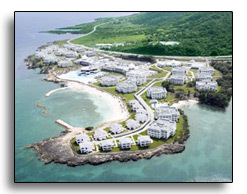 The resort was gorgeous and extremely luxurious. 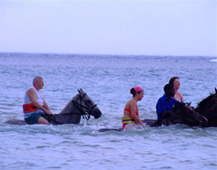 We went horseback riding in the ocean and climbed Dunn’s River Falls. The falls were spectacular. The entire trip was amazing. Thanks for all your hard work. 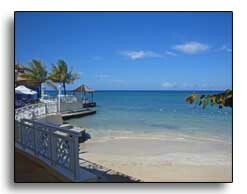 Sandals Grande Ocho Rios was absolutely wonderful! 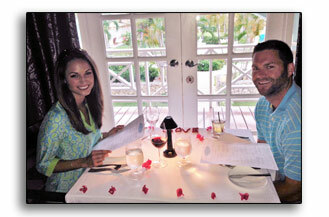 The staff, the resort, and the atmosphere were exactly what we were hoping for for our honeymoon. 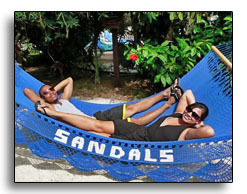 Sandals offered plenty of opportunity for romance (we had a sea-side couples massage, candlelight dinner on the beach, and sunset cruise down the Jamaican coast). 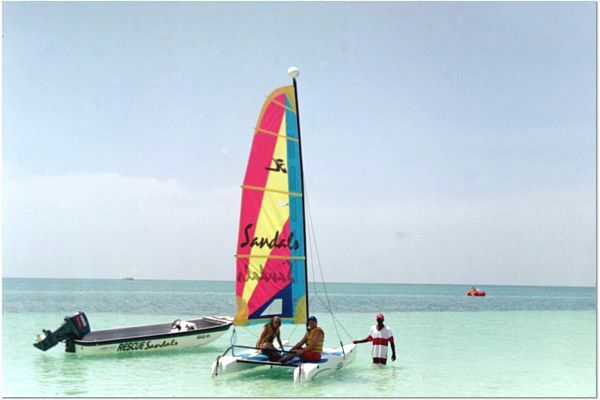 Sandals also offered us the much needed opportunity to relax and have fun after all the wedding planning chaos. 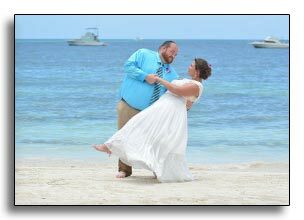 We danced in a dance competition (although we didn't make it very far, ha), climbed waterfalls, and met wonderful other newlyweds as we sang the night away in the piano bar. It was truly the best time of our lives! We received your card today. That was very thoughtful. 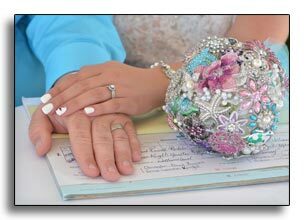 You have been so helpful throughout our entire wedding planning. 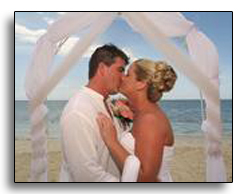 You have made our honeymoon a truly unforgettable experience. Without a doubt, we will definitely be recommending you to all of our friends and family! 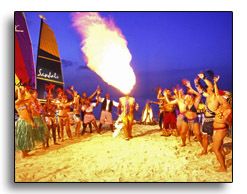 In fact, we are talking about a family cruise in a couple years, and you will be the first person we call!